Schott Black Leather Police Style Jacket With Removable Fur Collar & Quilted Liner Fur colla..
Schott N.Y.C. 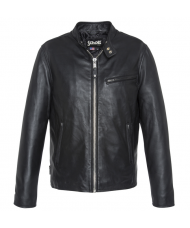 Black Leather Jacket - LC6304X Style:Leather 100% Lambskin Not Washable Inner Material..
Schott N.Y.C. 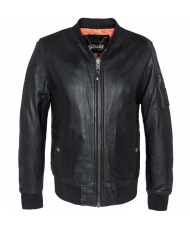 Black Leather Racer Jacket - LC949DMade from 100% Sheepskin Three pockets on the ..
Schott N.Y.C. 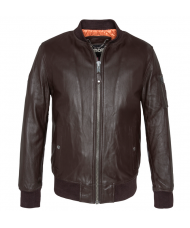 Brown Leather Jacket - LC6304X Style:Leather 100% Lambskin Not Washable Inner Material..
Schott N.Y.C. 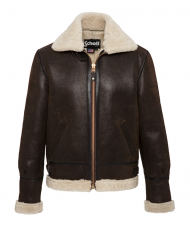 Leather Flying Jacket In Dark Brown - LC1259XGenuine Schott B-3 sheepskin flying jacke..